Does hearing the words “unscheduled downtime” send you into panic? We don’t blame you. Unplanned interruptions cost significant time and money. User error is one of the top reasons for interruptions in the production line. Complex equipment increases the amount of time for required for training and increases the likelihood of operating errors. Easy-to-use applicators significantly decrease the amount of time spent on training and leave little room for user error and production setbacks. 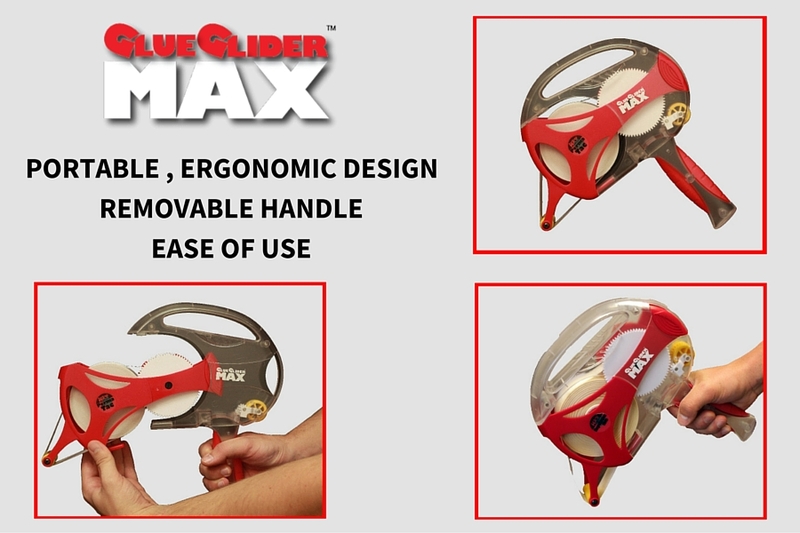 Just like the GlueGlider ONE, the GlueGlider MAX is an adhesive transfer gun that dispenses Adhesive Squares double-sided tape. The GlueGlider MAX dispenses adhesives in a cartridge form, instead of a roll. It has all the same benefits that the GlueGlider ONE offers.